Watch a 5-minute movie of food served in some aged care homes. Sarah Russell’s mother, Joan, died in a nursing home in September 2015. She believes the death was premature. “When my mother was engaged, she was terrific. When she was alone and not engaged, she’d suffer anxiety … [and] she would get up and walk,” Dr Russell, a public health researcher, said. Dr Russell gave up work to look after her, but she could not be there at all times, so she attached a note to her mother’s walking frame to warn the personal care assistants at the aged care facility not to leave her walker within reach. One day, in the dining room after lunch, they did. I was MC at the meeting. I was invited to explain aged care reforms. Professor Rob Watts spoke at the forum. Rob has agreed for me to share his talk, for those who may be interested. Dr Russell said the care assistants in Joan Russell’s home were “extremely busy”, but “the other explanation is that there were a lot of people in Mum’s nursing home for whom English was not their first language. “It’s a real problem, not just for instructions left on a walker, but for communication at all. I don’t know if the person who left the trolley beside my mother was not able to read the instructions or was too busy and forgot. Dr Russell received an apology from the facility. 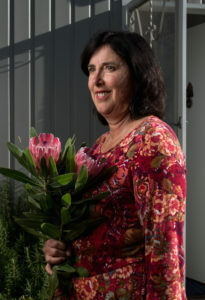 The federal government cut payments to aged care by $1.2 billion over four to help curb a predicted blowout in costs. Aged care providers are predictably are up in arms. Unfortunately, government subsidies often serves the interests of the providers more than residents. Under the current arrangements, the providers do their own assessments of residents. When a resident is reclassified as requiring a higher level of care, the provider receives more money from the federal government. However, staffing levels rarely change nor are extra services provided to the resident. One in eight claims are reportedly incorrect. The Aged Care Funding Instrument is based on residents’ level of care rather than ‘restorative care’. There is no financial incentive for providers to introduce services such as strength training or lifestyle programs that would improve residents’ quality of life. 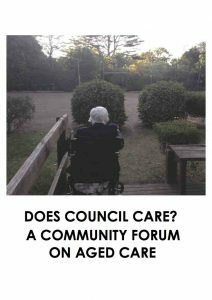 The funding of aged care homes requires greater scrutiny and transparency to ensure the best possible care for frail, elderly people.